You'll be £4.99 closer to your next £10.00 credit when you purchase Amphibious Assault Falklands. What's this? Since he was in charge of the amphibious operations in the Falklands War, it goes without saying that there is no one better qualified to tell the story of that aspect of the campaign than Commodore Michael Clapp. Here he describes, with considerable candour, some of the problems met in a Navy racing to war and finding it necessary to recreate a largely abandoned operational technique in a somewhat ad hoc fashion. During the time it took to 'go south' some sense of order was imposed and a not very well defined command structure evolved, this was not done without generating a certain amount of friction. He tells of why San Carlos Water was chosen for the assault and the subsequent inshore operations. Michael Clapp and his small staff made their stand an can claim a major role in the defeat of the Argentine Air and Land Forces. A very concise and detailed account, describing the challenges faced, studies and overcome. It gives you the feeling that this is how command in war is actually carried out. Captain Michael Clapp is one of the central figures of the Falklands campaign yet one of the least recognised. Holding the position of Commodore for Amphibious Warfare in 1982, Clapp was at the heart of the planning and ultimately successful landing. This is a revealing book in many respects. At the time – and thereafter – debate has rages about who was in charge. Clapp very helpfully sets out the command structure for the campaign and, crucially, when responsibility passed from one to another. 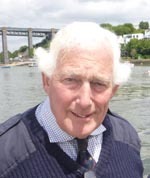 Who knew, for instance, that Clapp instigated the role of Queen’s Harbourmaster with responsibility ship movements in Stanley Harbour when the conflict was over? Amphibious Assault Falklands” goes into organisational detail that is absent from other studies. What is clear is the huge benefit that arose from Clapp, Julian Thompson of 3 Commando Brigade and their respective staffs spending time together on the journey south. This not only enabled relationships to be formed but allowed to each to anticipate/understand the thinking of the other later in the campaign. This lack of understanding, and general unfamiliarity with amphibious warfare, would later hamper 5 Brigade. Although Ewen Southby-Tailyour is listed as a co-author, there is a clear difference in style between this and Southby-Tailyour’s more fluent “Reasons in Writing” (also published by Pen & Sword). 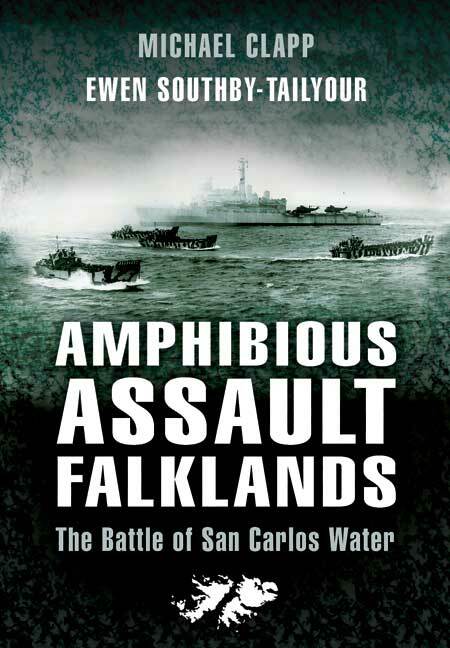 Despite this, “Amphibious Assault Falklands” is a manual in how amphibious operations should be run properly and the consequences if they are not. Michael Clapp knew that his assets – men and ships – would suffer fatal attacks but his careful stewarding, and the odd slice of luck, ensured casualties were mercifully low. Michael Clapp retired in 1983 and his experience was lost to the service. As one of the architects of the retaking of the Falklands his achievement will never be forgotten.